Welcome to the Western Pennsylvania History e-magazine portal. If you are a paid member, you can enjoy full access to digital editions of Western Pennsylvania History Magazine. Try the free sample issue below or click HERE become a Heinz History Center member. If you believe you are a paid member and your account is not working, please contact membership@heinzhistorycenter.org to check or renew. 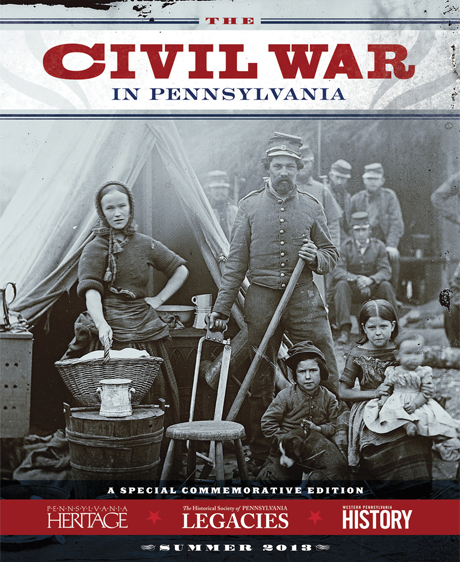 This special issue of Western Pennsylvania History, a collaboration with Legacies magazine (published by the Historical Society of Pennsylvania) and Pennsylvania Heritage (published by the Pennsylvania Historical & Museum Commission), combines articles from all three publications to commemorate the Civil War sesquicentennial.